There are a variety of reasons which may cause your tree to need pruning, and it isn’t always the case that you can tell straight away. Maintaining your trees by pruning them can improve the appearance and safety of your yard. But this isn’t a job you should tackle by yourself – tree pruning can be dangerous if you don’t have the right skill or equipment. Hiring an arborist is your best bet for pruning your tree safely and properly. It can be easy to forget about maintaining a tree as they are typically regarded as self-sufficient and needing little care. However if you have trees around your property it is a good idea to get them checked by a qualified arborist to see if any pruning may be required. Pruning your tree will make your property safer. If your tree is well-maintained and healthy, it is less likely to fail during windy and stormy weather. Trees also naturally develop dead branches as they grow and if these fall they can cause damage to property or pose a safety risk. A skilled arborist will be able to safely remove these dead branches. Trees can also develop defects as they grow and if these go un-noticed they may fail in adverse weather causes possible damage to property as well as permanent damage to the structure of the tree. Both these can be avoided if detected early and remedied through appropriate pruning. Having a better looking yard can make a difference in how much you use it. It is important that you take pride in the place you live so that you can enjoy your time in your backyard or garden. 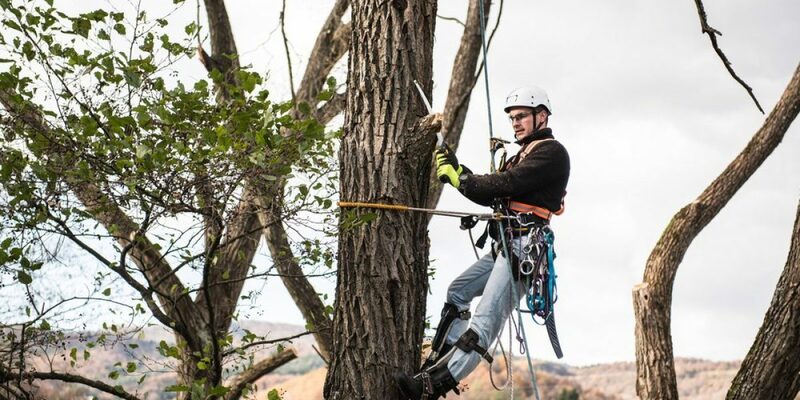 Getting a qualified arborist to prune your trees correctly ensures that the work is done sympathetic to the tree whilst achieving the desired outcome. By getting your tree professionally pruned, you are making sure that its structure and health remains in good condition. This will help your tree to continue to grow healthily and ideally be less prone to storm damage and be safer for you and your family. Trees may occasionally become diseased, and in some instances pruning may be an effective treatment. This is all dependent on the disease and can prevent the disease from spreading to other parts of the tree or other trees in your garden. Make sure that you get a qualified professional to prune your tree who has an understanding of how to deal with various pests and disease. This will ensure that the disease is properly dealt with and isn’t at risk of spreading further. Pruning your tree is important – it maintains the safety and appearance of your home environment. Trees can make a huge difference in the look of your home, and taking regular care of them will ensure their long term health and your safety.